WE SINCERELY THANK EVERYONE WHO HAS CONTRIBUTED, IN A VARIETY OF WAYS, TO SUPPORT THE SERVICES WE OFFER. MONETARY DONATIONS ARE GREATLY NEEDED. PLEASE CONSIDER CONTRIBUTING TO OUR EFFORTS. CONTRIBUTIONS ARE TAX DEDUCTIBLE. 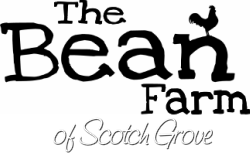 ​Please send questions to Doug or Julia Bean at thebeanfarmiowa@gmail.com or call 319-432-4322.